Greetings from snowy West Michigan. If my day goes as planned, I will not be leaving my house. : ) I have a fun podcast in the hopper that I will be releasing soon. 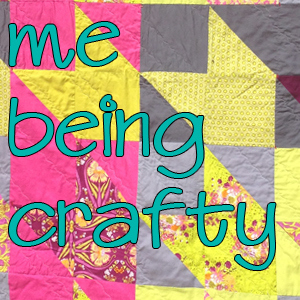 In the meantime, I invite you to grab a cup of tea and head over to the Me Being Crafty blog where you can listen to me chatting with with fellow podcaster and quilter, Tsoniki Crazy Bull. As a podcast guest, I tell some stories, talk about my career, family, CraftSanity, creative inspiration and the stuff I like to make. So if you’re snowed in, grab a cup of tea and settle in for a what I hope you will find to be an entertaining podcast.